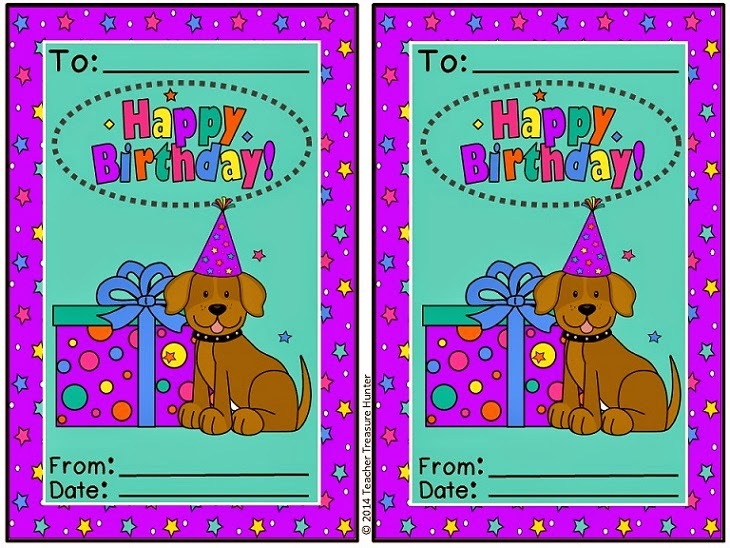 I have a few freebies to share with you on my birthday. 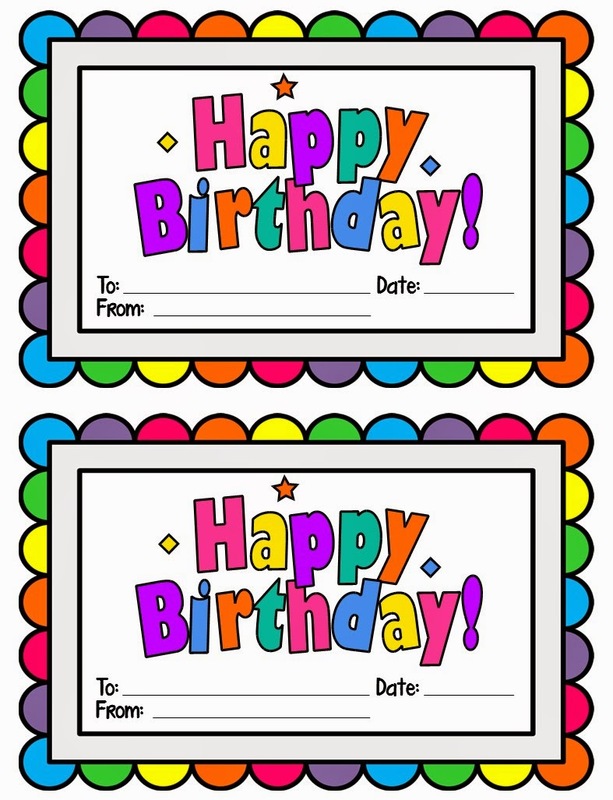 🙂 The first 2 are birthday related items for your classroom. There are certificates (2 styles-2 files!) 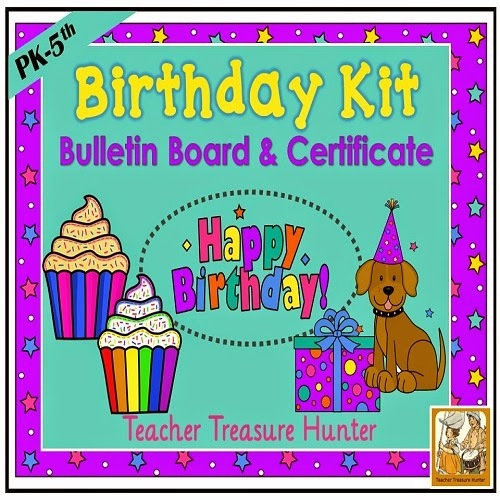 and a birthday bulletin board set where you can put the student’s birthday on the cupcake for that month. Click on the pictures above to download these freebies! The next freebie is one that I put together for the Open House this week. The first graders had their Arctic reports on display. I used this About the Author page for the cover. I took a picture of each student holding a picture of the Arctic animal that they studied. 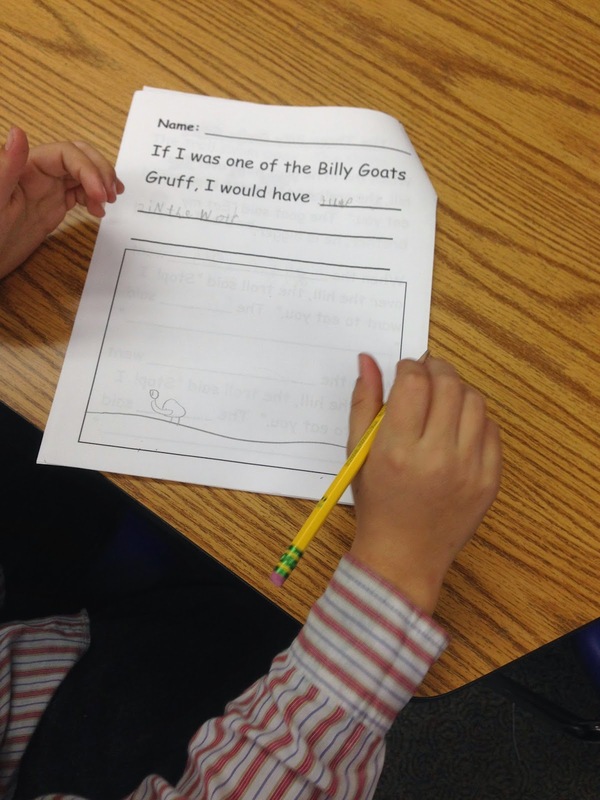 I used the Arctic Animal Research Pages & pictures from my Arctic Animals unit on TPT. They turned out great and the kids really enjoyed working on this project. They get to become “experts” on the animal that they study! I have also been participating in a product swap that was organized by Erin at Learning to Be Awesome. I reviewed a product from Sharon who has the Teaching with Sight blog. She is a NBCT kindergarten teacher. 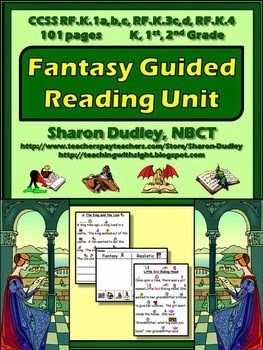 I chose to review the Fantasy Guided Reading Unit. 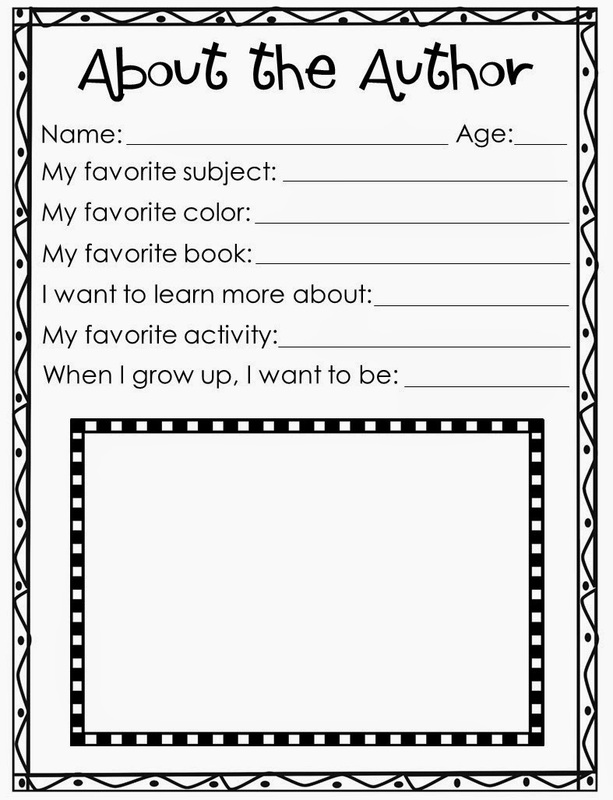 This product was designed for K-2nd grade students. 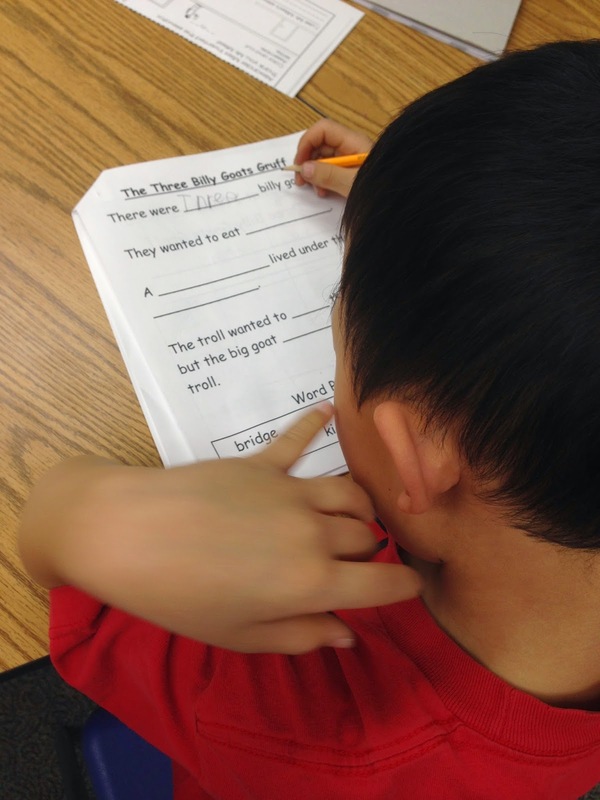 We started out by reviewing the vocabulary that would be used in the story. Sharon has provided the kids with words they need to know and a picture of the word. I had my students circle some of the sounds that we practice. These words also include their favorite sound – wa in water. I call it the baby sound and we make a crying baby saying wa-wa! We then read the story together. The picture clues were very helpful and it is written for beginning readers. It was so great for them to have a story they could easily read. We want to scaffold learning and keep the students going to the next level, but sometimes it is nice to just give them something they absolutely know and let them be super successful. It really helps to build their confidence. 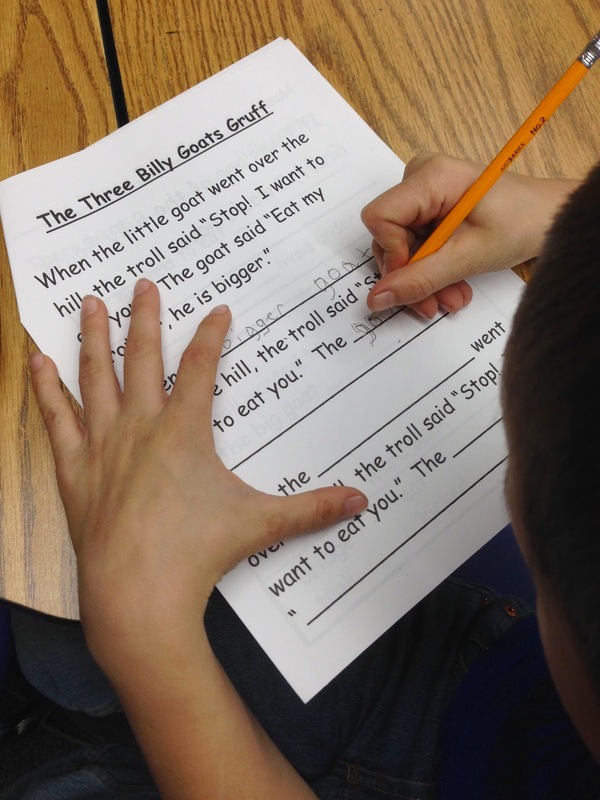 Next, the students did a little re-write of the story. 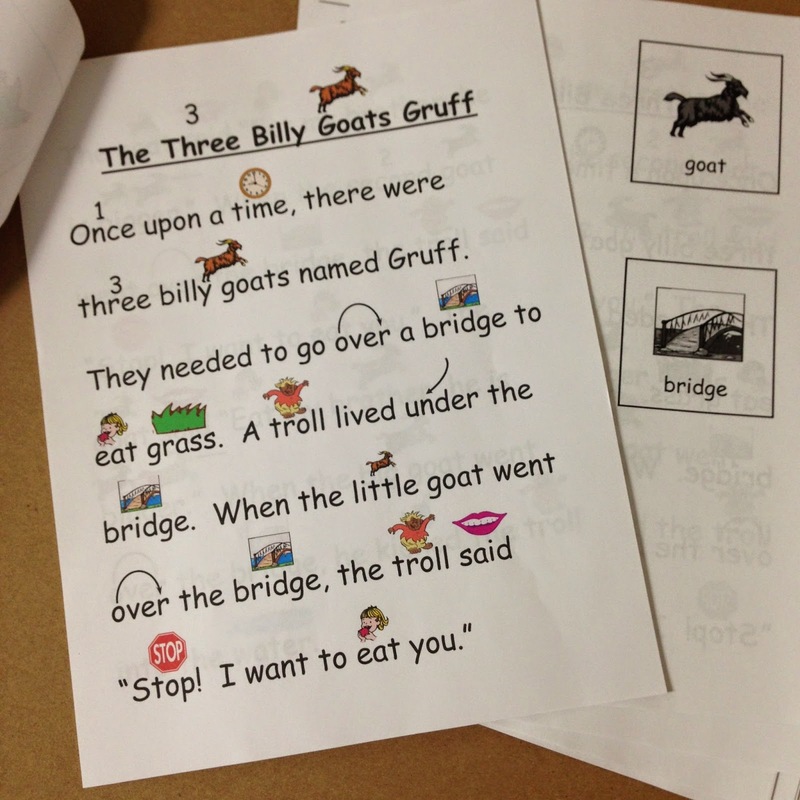 They wrote about what happened as each of the goats crossed the bridge. 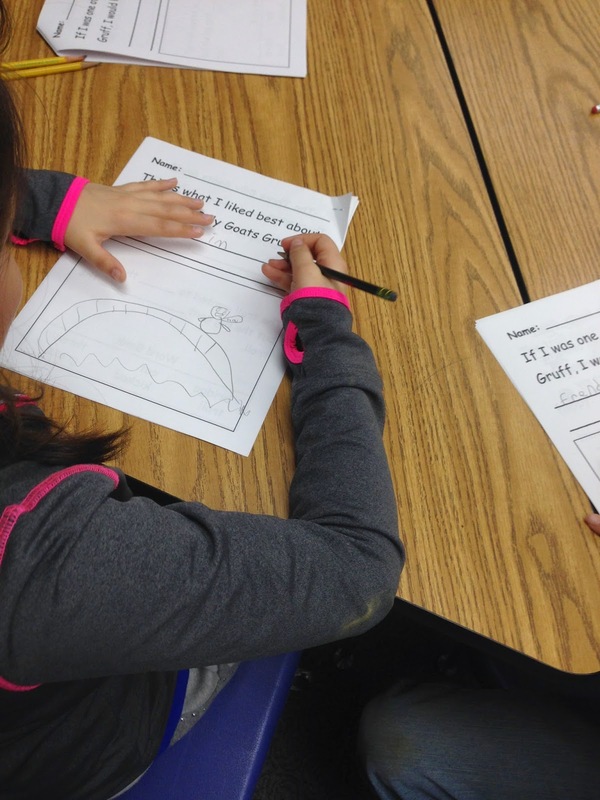 This story also has some comprehension questions (with a word bank), a place to write and draw about your favorite part and a place to write your own ending. Writing an alternate ending was definitely the favorite part for my students. It was interesting to hear their diverse reactions. Some said they would push the troll into the water. One said they would just swim across and avoid the troll on the bridge. And there was one who said he would be a friend to the troll. Maybe that is what that mean troll needs – friendship! The best part of this whole experience was that when we finished the students asked if they could do more! They really liked this story. 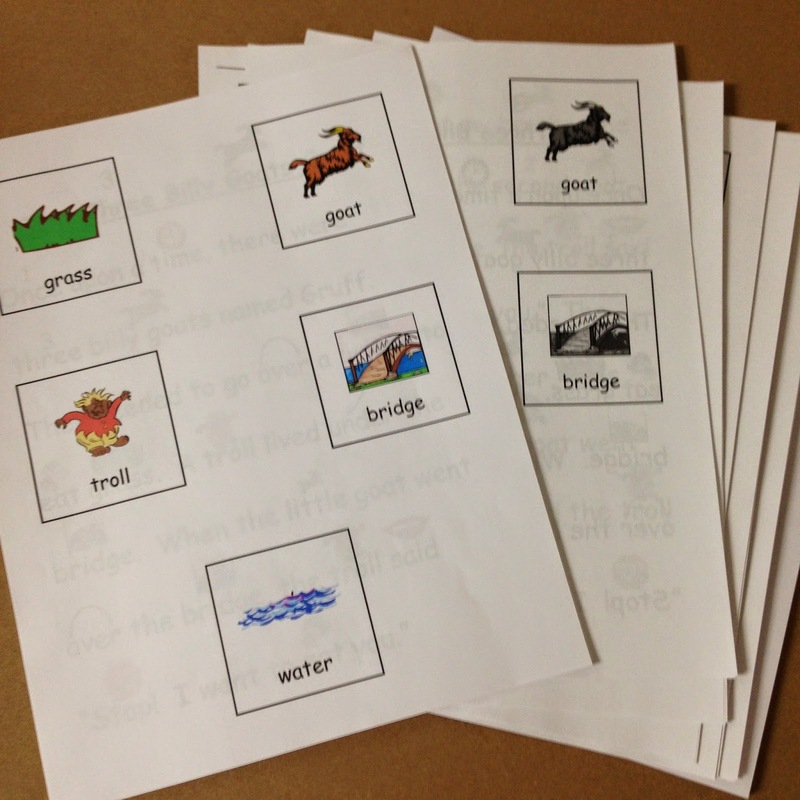 I was just going to use the one story in this pack because we have other materials for our reading group, but this was so appealing to them that I really need to use some more stories. This is a huge pack (over 100 pages!) and it has 12 stories in it. 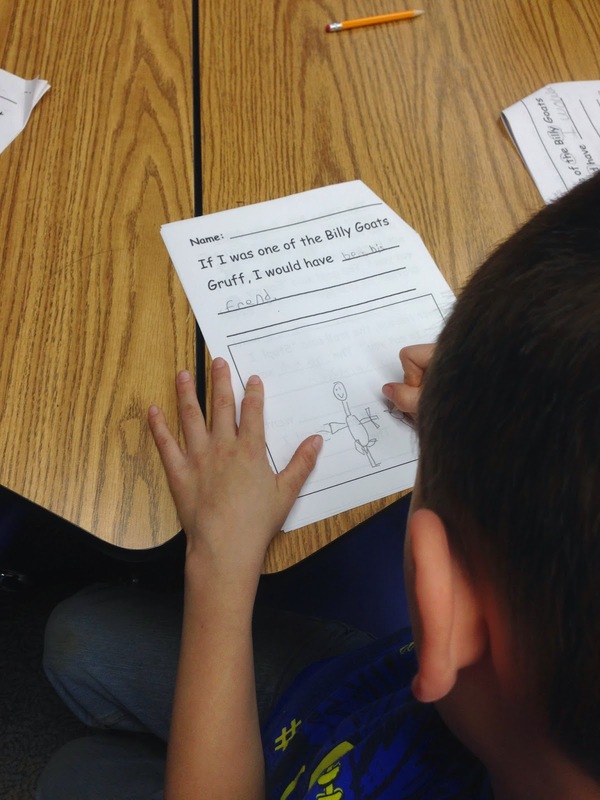 My first grader will be so excited to learn that we can do more stories like this. Please visit Sharon’s blog, Teaching with Sight. I just found out as I was writing this blog post that she is not only a kindergarten teacher and ballroom dancer, but also that she is completely blind. There is a wonderful introduction video on her blog that shows her teaching. She is an inspiration. Make sure that you visit the other bloggers participating in this product swap. Not only will you discover teaching materials for your classroom, there are many giveaways and special treats along the way.